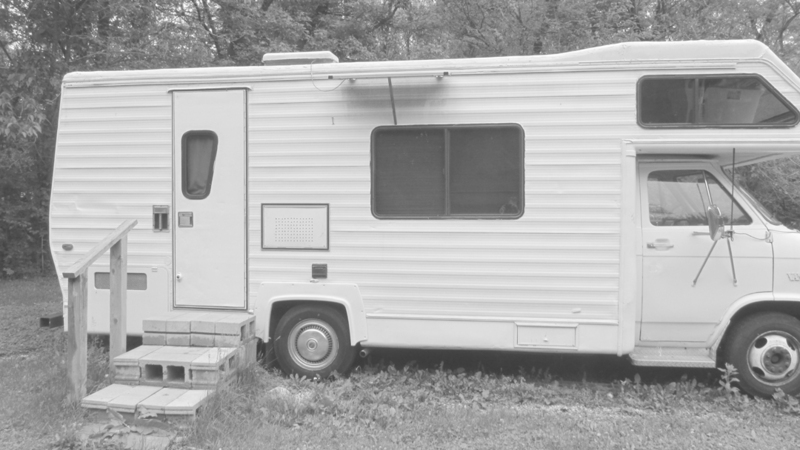 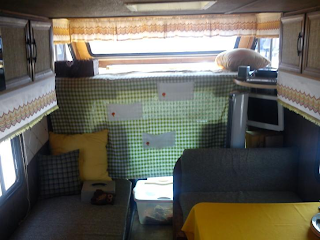 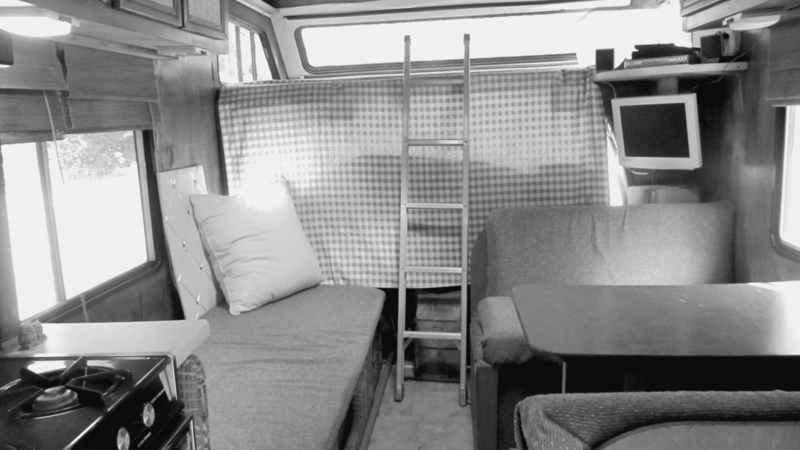 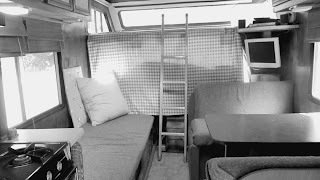 "The Beast" (as we affectionately call our camper) is getting a fun make-over inside and out -- 70s style -- for the upcoming Do-It-Yourself Street Faire in Greenville, IL. 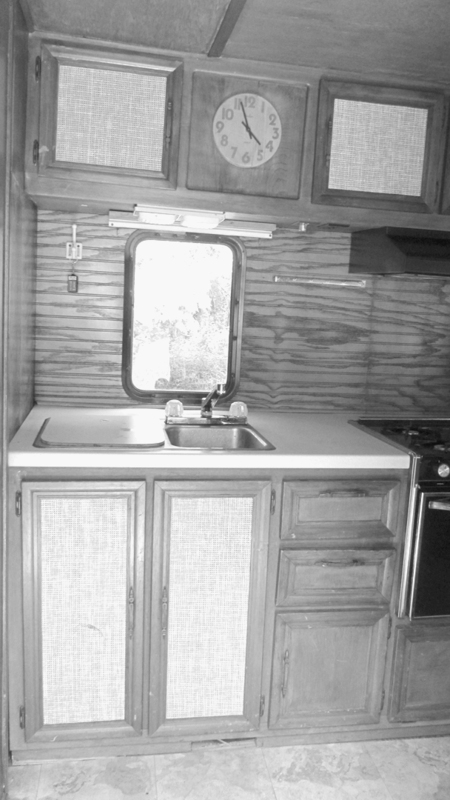 "AFTER" photos to follow (or better yet, come take a tour of "The Beast" in downtown Greenville on Saturday, June 16th from 9am-3pm). 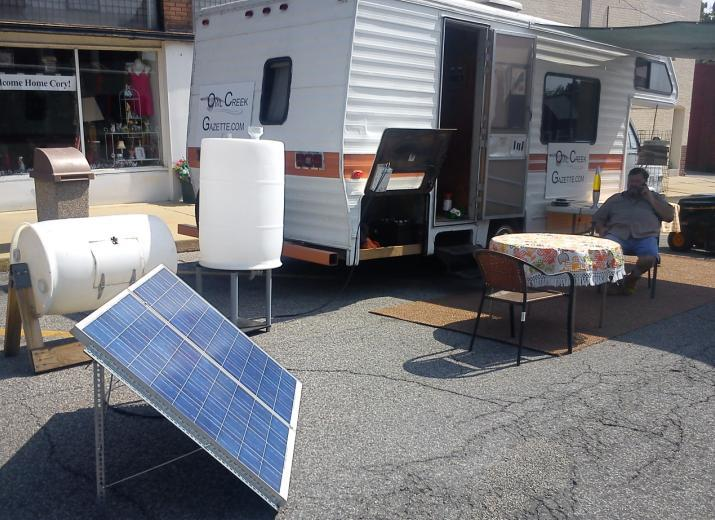 Plus we'll have our solar panels, rain barrel and rolling compost maker to demonstrate as well ! 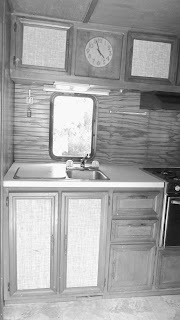 And here are a couple of "AFTER" photos, folks!